Noah Hanson | AKLEG Apr 9, 2018. Sunday morning, the Senate Judiciary Committee planned to hear three bills that would preserve the Permanent Fund Dividend and protect public safety. Instead, these bills were effectively killed by the Senate Majority. 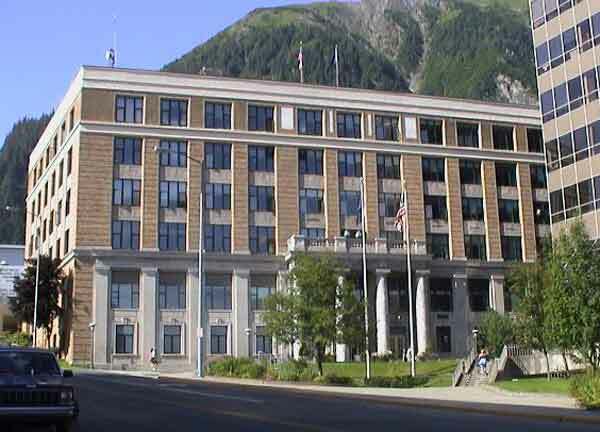 On Friday, Senator Bill Wielechowski (D-Anchorage) and two other committee members sent a letter to Senate President Pete Kelly (R-Fairbanks) asking that the three bills, which had been stalled in that committee for months, be heard. Once that letter became part of the record, Senate Judiciary Chair Coghill (R-North Pole) was required to hold a hearing on the three bills within four days, or, barring a hearing, move the bills on to their next committee of referral. The three bills included Senator Bill Wielechowski’s SJR 1, which would put to a vote of the people the inclusion of the dividend in the Constitution; Senator Costello’s SB 127, which would repeal 2016’s omnibus crime bill, SB 91; and HB 214, which would rename the Teen Dating Violence Awareness and Prevention Education statute to Bree’s Law after Bree Moore, the 20-year-old women tragically shot to death by her boyfriend in 2014. HB 214 has 14 co-sponsors in the Senate. The question remains whether the rule has been met, or if SB 127 and HB 214, the bills on public safety, will now move on to their next committees.